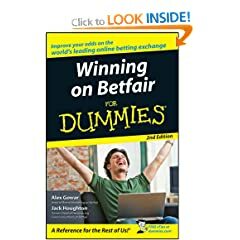 There's a copy of Winning on Betfair for Dummies on my desk. Not sure where it came from but the 'For Dummies' bit definitely hits the mark. Guess who wrote it? The head of Brand Marketing at Betfair and the former head of Horseracing Communication at... Betfair. Nice.